Mommy's Idea: Win a $20 Gift Card to Born 2 Impress! Contest ends at 11:59 PM EST on Friday, May 1, 2009. I am a 34 years old first time mom, who loves creating new accessories and details for little girls. I love everything handmade and spend a lot of my time designing new items for my store. It is mom-owned, invented and created. I love what I do even though is difficult some times having a very active 22 months old running around , but I have to say that really enjoy creating the different accessories that I have in the store. We are currently working on a blog and can find us in twitter as Born2impress. It was their Idea !! Shortly after I found out that I was pregnant, I decided that I wanted to start making bows and cute accessories for little girls. I started by making different bows and headbands for my niece and then friend’s little girls. Everyone seemed to like the items so well, that they insisted that I should start my own business to sell my creations to everyone. 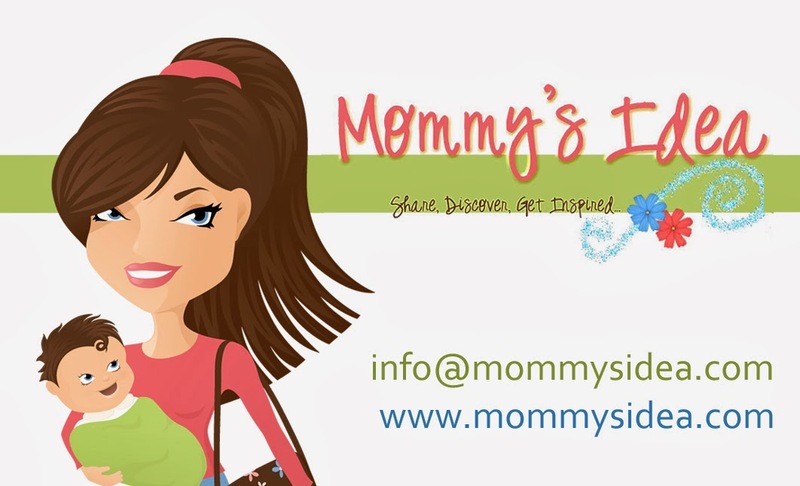 After my daughter was born, I kept making the products and after creating over a hundred different styles of items, my husband insisted that I should get a website and start selling my items. I decided if I was going to do this, I’d do it right. All of our products have been created with the highest quality materials available with an emphasis placed on safety. All of our accessories are hand-sewn together and all ribbon ends are heat-sealed to prevent fraying. My little princess is my model and inspiration, as a mother I wouldn’t use anything that I wouldn’t use for my own child. My creations are colorful, fun, and unique and each is hand-crafted as if it was for my own child. Born 2 Impress is committed to hand-crafting unique designs with the highest quality materials and the utmost care, for any occasion, in a timely manner so that anyone can make their little one feel and look like a princess. To show our appreciation for kids and childhood. To let kids be kids and look like kids. To let parents have a sense of pride and security. To create awareness that every kid was Born 2 Impress. Our catalog is comprised exclusively of custom-created handmade items boasting a great taste in design , at a surprisingly reasonable price. At Born 2 Impress, we are passionate about kids and fashion. Besides consistently delivering unique items, made with the utmost care and the highest quality materials, we strive to provide our clients with a fulfilling and enjoyable shopping experience. We use all kinds of different materials and hardware ( always keeping our quality standard) to make sure you have plenty to choose from. I really love the PURPLE/PINK/ LAVENDER BOW Tote. So pretty! Thank you! My favorite item is TOTE-DENIN /SATIN HOT PINK AND MINT FLOWER. I love the Hot Pink Braided Clips! I love the Red Exotic Flower Toddler Flower Clip. Thanks for the chance! Wow these are all so cute!! I just love the Big Pink Flower Rhinestone Toodler Headband. I follow on Blogger as well. i like the bow tote..so cute! What a lovely blog so many great give aways!I am glad I stop in I will follow! Love the Purse Denin - Double R. White Red - Stripes Bow. Red - White Ladybug Toodler Clippie! My favorite is the Black - Ladybug Toddler Crochet Headband. I like the Hot Pink Purse with the pink flower and gold braid. It would be a great gift for my niece. Cute stuff! I love the pink and brown beanie. I absolutely love the PURSE Denin -Hot Pink/Apple Green Bow purse, it's just too adorable! Thanks for the fantastic giveaway! I really like the Purple,Pink and Lavender Bow Tote! I would get the L. Pink - Polka Dot Daisy Toodler Clips Set and the Lavender Daisy - Bow Holder. Thanks! I like the red-green flowers braided clip. I love the Pink Organza Ribbon Flower Infant Crochet Head Band. Too cute. I like the blue/white flower braided headband. Thank you for a great giveaway. I really like the pink double 8 petals flower toddler clips. Thank you! My favorite is the Black -Blue Butterflies-Flowers and Braid purse! i like the Black and Blue Butterflies-Flowers and Braid purse. Love the light pink toddler flower clip! I love the Infant Bear Crochet Hat with Pink Flower. I love the White-Hot Pink Daisy infant hat. It would look so cute on my little one and the bows will not work because she dosen't have enough hair yet. I like the toddler and doll pink and white bows. Thank you!! i like the red velvet infant bow band. it is so cute! Rachel would look so cute in the blue beanie with the white ribbon and white daisy. Adorable! I just love the Big Pink Flower Rhinestone Toodler Headband. The pink double 8 petals flower toddler clip is very cute! I like the Infant Bear Crochet Hat with Pink Flower!